Mosquitoes are among the most annoying of all biting pests. According to research, they are also considered to be one of the most devastating of carriers when it comes to illnesses and diseases to humans, pets, and other types of animals. While a multitude of information abounds regarding the biology, personal protection from, and control of mosquitoes, very little information exists regarding the public health risks that these insects pose – especially for the State of Indiana. In this pest control guide, you will learn about the significant risks associated with mosquitoes and other relevant information pertaining to these potentially dangerous pests. Anopheles – This particular species of mosquito in Indiana are often identified as “malarial mosquitoes”. This is due to the fact that they are known to play a large role in the development and the subsequent transmission of the protozoan-based parasites that are known to result in the development of malaria among people. Additionally, these pests are known to aid in the transmission of heartworms in canines. Out of 20 species that are found in the United States, 6 of these species are in the State of Indiana. Culex – This species of mosquito is referred to by two other names in the State of Indiana – the “house mosquito” and the “West Nile mosquito”. Out of 28 species within the nation, 7 are found in the State of Indiana. Out of these, 4 are known to aid in the transmission of the West Nile Virus. Additionally, these potentially dangerous pests are known to transmit the Western Equine Encephalitis Virus and the St. Louis Encephalitis Virus. 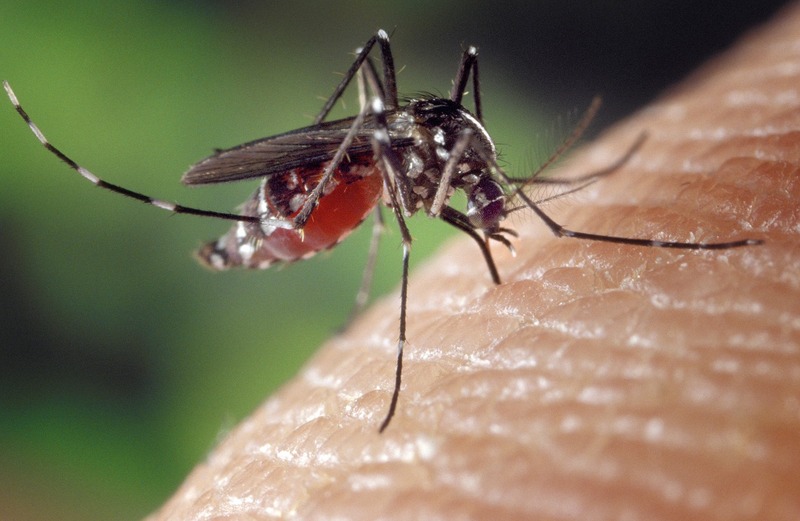 Culiseta – In total, there are 8 species of this mosquito located throughout the United States. In the State of Indiana 4 species are present. These mosquitoes are known to transmit various illnesses to humans, pets, birds, and horses – the most commonly transmitted is the Eastern Equine Encephalitis Virus. In addition to the previously mentioned illnesses and diseases outlined, the mosquitoes in Indiana pose many other types of public health risks. These include the LaCrosse Encephalitis Virus, Dengue, and allergic reactions. Examples of symptoms that may be experienced when subjected to a mosquito-borne illness and/or disease include – but, are not at all limited to – fever, nausea, vomiting, eye pain due to increased light sensitivity, paralysis, seizures, headache, convulsions, tremors, muscle stiffness, disorientation, and coma. If treatment is not immediately sought or delayed, these illnesses and/or diseases could result in death. If you want to avoid the public health risks posed by mosquitoes in Indiana this summer to you, your pets, and other animals, let All Pest help get rid of those mosquitoes!